Contracting for safety should be through the use of Defence Standards. 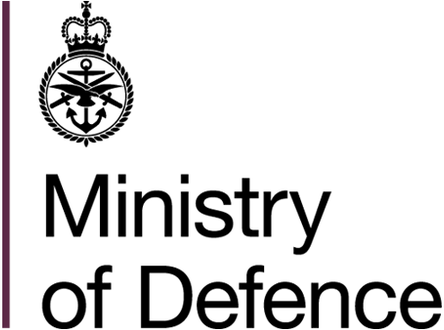 The Commercial toolkit guidance available on the Acquisition Systems Guidance web portal should also be followed to ensure MOD Policy and Guidance for contracting is provided for in a coherent and uniform manner. Any contract for safety or environmental protection should meet the Acquisitions Safety and Environmental Management Systems defined here, in addition to the requirements of Defence Regulators. Where Products, Systems or Services are procured Commercially Off The Shelf, or using Military or Modified Off the Shelf procurement, it should include in any contract that all relevant handbooks and documentation are provided in English for use with the equipment. The end state of any Product, System or Service should see risks reduced to tolerable and ALARP before the contract can be deemed fulfilled. Where a contract is established for an Independent Safety and/or Environmental Auditor or similar safety and/or environmental assistance to a project, then the safety and environmental protection requirements for the project and programme should be clearly specified and agreed. Deliverables should be unambiguous in order to allow both DE&S and the contractor to understand what is required of them. Any contract should ensure that any gaps between Product, System or Service safety and environmental protection and ASEMS are analysed and a solution to fill the gaps developed, where such gaps do not impinge on the Tolerable and ALARP or environmentally sound status. Although Products Systems or Services may claim to meet international standards, it should be remembered that this does not in itself automatically confer the argument that the Product, System or Service is safe or environmentally sound to use by the MOD. The application or operating envelope may be different and any integration into MOD systems may require modifications to the original design that may mean the standard claimed may not continue to be met. Where novel or innovative procurement is used, such a procurement strategy should continue to meet the same standards required by this procedure and those the MOD Commercial processes. Further guidance should be sought to ensure the MOD Commercial processes are maintained. Although a Product System or Service may be procured using a different process than is normally utilised by the MOD, this should not, under any circumstances, affect the safety or environmental management process for assessing, managing and accepting the risks presented by the Product, System or Service. The proportional approach should consider the procurement strategy as another factor, rather than drive the overall rigour that may be applied to assessing the risks. Contracting for Safety should be the responsibility for all those involved in the acquisition process of Products, Systems and Services and should not be simply assumed to be a Commercial function. Project Managers, Safety Managers and Project Team Leaders should have control of the safety requirements that apply to any contract where safety is involved. That the Project Manager is not directly managing the day to day aspects of safety and environmental management for the project but there is a separate project officer undertaking this role. Again this may vary; in smaller projects the Project Manager may undertake the day to day safety and environmental management. That there are other project officers or staff performing other functions that are not directly managing the day to day aspects of safety and environmental management but have an involvement (i.e. they are System Safety and Environmental Stakeholders). This may include staff working in centrally formed areas of the team, such as Integrated Logistic Support Managers, rather than those working directly to the Project Manager. That there is some form of specialist or advisor supporting the Project Manager and their team in managing safety and environmental aspects of the project. This person may be supporting several projects across the team and may include roles of the System Safety and Environmental Advisor. The person may be a member of MOD or may be a contractor. It is the responsibility of the Project Manager to ensure that all contractors are Suitably Qualified and Experienced Personnel and competent to be able perform the tasks required. That safety and environmental management are conducted as a single process with posts involved in both safety and environmental protection. It is possible, particularly for larger projects, that some posts may have a dedicated safety or dedicated environmental management role. In such cases, the relevant post profile should be amended in line with the guidance contained in paragraph 2, whereby the level of competence for the non-primary specialism (safety or environmental) is reduced to Awareness level. An assessment of any applicable international or other standards that may need to be included in any contract, e.g. MIL STD, STANAGS, etc. Any contract that should meet the requirements of the business case and commercial arguments. NATO Standards (STANAGS) may or may not have been ratified by the MOD, but represent NATO standardization for a Product, System or Service. This standardization should be referenced as a baseline in any contract that is expected to utilise the appropriate STANAG, whether ratified or not. Military Standards, also known as MIL STD, MIL-SPEC or MilSpecs are used to help achieve the United States of America’s Department of Defense requirements of standardisation for Products, Systems and Services. Other International standards may apply in the acquisition of Products, Systems or Services from other countries and these should be assessed against the requirements of Def Stan 00-056, ASEMS and Commercial guidance on the Acquisition Systems Guidance website. Although Products Systems or Services may claim to meet international standards, it should be remembered that this does not in itself automatically confer the argument that the Product, System or Service is safe to use by the MOD. The application or operating envelope may be different and any integration into MOD systems may require modifications to the original design that may mean the standard claimed may not continue to be met. The integration of Products Systems or Services that claim to meet international standards into other MOD systems is therefore not automatic, but such standardization should provide evidence to support the safety argument for that particular Product, System or Service; whether this is in itself sufficient to allow Duty Holders to make a robust safety argument and that the risks posed form the Product, System or Service are Tolerable and ALARP should be formally assessed and evidence recorded. Where Products, Systems or Services are acquired that claim to meet International Standards and the documentary evidence to support the claim is not available, then a judgement should be made by the Project Team Leader to accept the claim based on the risk profile of the Product System or Service and the impact the missing evidence may have on the Tolerable and ALARP argument. In all circumstances, the claim to meet International Standards should be assessed as part of the overall safety case and the safety argument that the risks posed by the Product System or Service are Tolerable and ALARP should be made in accordance with ASEMS, as for any other acquisition project. Version uplift to address re-numbering of GMP from 5 to 1. Interfaces between organisations shall be identified so that risks across them can be appropriately managed and effectively communicated. Operating Centres, Project Teams or equivalents shall ensure that communication procedures are implemented that provide an effective flow of safety and environmental protection information upwards, downwards and across their organisation. Operating Centres, Project Teams or equivalent shall establish, implement and maintain a procedure for the on-going proactive identification of environmental impacts. The Audit Question Set used as assurance in order to adhere to the policy described in policy clause 1.4. The Audit Question Set used as assurance in order to adhere to the policy described in policy clause 2.2. The Audit Question Set used as assurance in order to adhere to the policy described in policy clause 4.5.